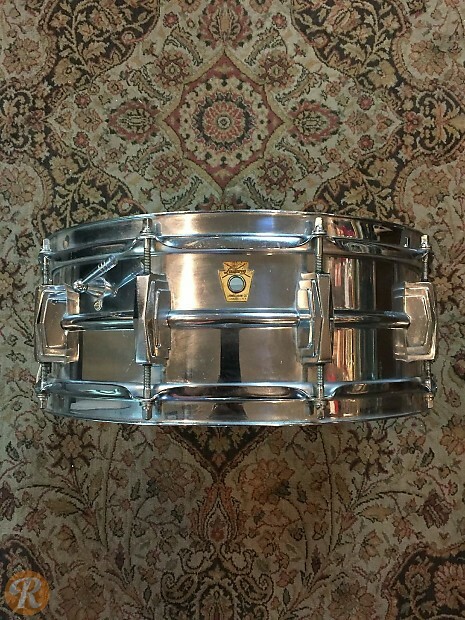 One of the rarest and most coveted drums in Ludwig's history, the 1960s 6.5x14 Super Ludwig was produced in extremely limited numbers before Ludwig switched to cheaper aluminum shells around 1963. It can be very difficult to identify the brass-shelled drums, often requiring examining the interior of the shell and assessing the weight of the drum. Deep-crimped snare beds can be an indicator of a brass shell, as they were phased out shortly after the switch to aluminum. The brass models also suffer from significantly less chrome pitting.